It was, therefore, surprising to have the former Attorney General assert that privacy is not a Fundamental Right. Privacy is a guarantee of due process providing an assurance that the government operates within the law and guarantees a fair procedure. In fact whether the Constitution was read as a textualist would (Justice Scalia defined textulaism as an interpretation “guided by the text and not by intentions or ideals external to it, and by the original meaning of the text, not by its evolving meaning over time”) or whether it was construed as a Living Constitution that favours a broad not a conservative or mechanical approach “not condemning civilized society to remain under the regimen of its barbarous ancestors” the conclusion is inescapable that privacy is in fact guaranteed by the Constitution. Denial of privacy thus robs one of dignity. But the right to live with dignity has been held to be a core constitutional value by our Supreme Court and guaranteed by Article 21. And as privacy is an assurance of dignity the guarantee of privacy cannot but be implicit in the Constitution. Even otherwise as Edward Bloustein says: “The man who is compelled to live every minute of his life among others and whose every need, thought, desire, fancy or gratification is subject to public scrutiny, has been deprived of his individuality …. Such an individual merges with the mass. His opinions, being public, tend never to be different; his aspirations, being known, tend always to be conventionally accepted ones” Visibility itself provides a powerful method of enforcing norms and as Westin tellingly puts it “naked to ridicule and shame they will be put in control of those who know their secrets.” As Moreham said freedom of expression – again guaranteed by the Constitution – would lose much of its value if people do not have the chance to learn to think for themselves and have anything unique, creative and controversial to express. Similarly freedom of action and belief – also guaranteed by the Constitution – will be lost where one is kept under the spotlight and on the stage in perpetuity robbing life of its spontaneity sparkle and exuberance, pillaging imagination of its resourcefulness, curbing individual genius and even idiosyncrasies, and enforcing conformity. The right to privacy though unspecified is yet clearly reflected in the language of the Constitution and the existing state of law also clearly showed that the society believed that such a right existed. Merely being alive and alert to this fact even without being activist was sufficient to acknowledge the same. The utter incongruity of the exercise of constituting a Bench of Nine Judges to decide if Privacy was a Fundamental Right at the instance of the Government which denied the proposition is apparent in the wholehearted endorsement of the decision as a vindication of its stance. 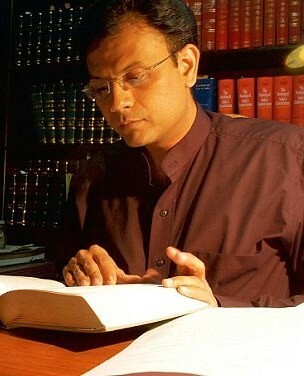 What then was the need to rely upon the judgments on M.P.Sharma and Kharak Singh to insist that larger benches of the Supreme Court had held privacy not to be Fundamental Right, insisting that the framers of the Constitution had expressly excluded the right from the list of Fundamental Rights and asserting that the right was merely a common law right – an argument of the Attorney General which sat rather uncomfortably with that of the Additional Solicitor General that the right was recognized in different statutes? It could have been conceded that Sharma and Kharak Singh did not lay down the law correctly, that on a contemporaneous not historical exposition of law the want of explicit inclusion of privacy as a Fundamental Right could not be considered decisive and that a common law right was elevated to the status of a Fundamental Right and clearly emerged from the guarantee of Article 21 and other facets of freedom guaranteed by Part III of the Constitution. Split verdicts often create doubts about verdicts and are open to criticism of policy and expediency trumping law. The Supreme Court spoke in one voice in recognizing the right to privacy. The unanimous decision of the Supreme Court is a momentous moment in India’s legal history decisively showing that existence of the right to privacy as an undisputed reality and vindicating India’s position as a confident, mature and vibrant liberal democratic state.